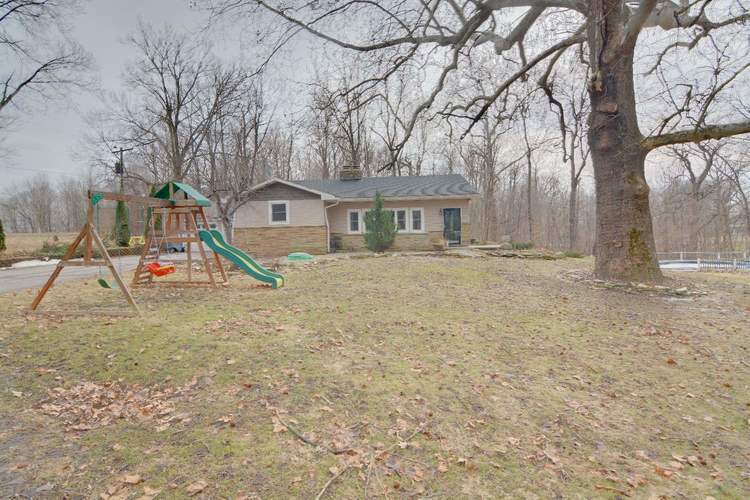 Cross over a bridge and a winding creek to this spacious ranch home in Northwestern School District on one of the prettiest 2 acre partially wooded lots in the county. This home offers 3 or 4 bedrooms, 2 baths, basement walks out to a patio and inground diving pool. Updates include newer kitchen with granite counter tops, roof, siding, windows, septic system. 600 ft of paved driveway.